Ijaw foremost Leader and a former Minister Chief Edwin Clark, yesterday said that PDP gubernatorial candidate Mallam Nuhu Ribadu has no electoral value and as such the Peoples Democratic Party, PDP, should not give him any waiver that will enable him to contest for the party’s primary election for the Adamawa State Governorship election. Chief Clark made the assertion in a letter which was addressed to the National Chairman of the PDP,Dr. Adamu Muazu, and read out to Newsmen in his Abuja residence, in the letter Clark described Ribadu; “paperweight politician from Adamawa” who could not even win election at the polling booth where his family home is located. Speaking further he said: “What, really, is our party receiving so joyfully? 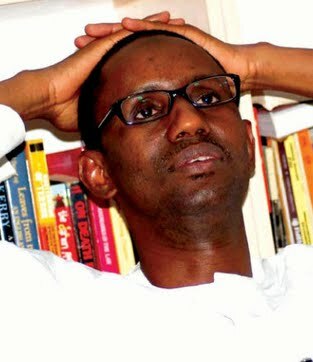 What is the political value of this emerging treachery, the well-established bone-marrow trademark of the man, Ribadu? “How can we so brazenly break our own rules to destabilize our party, if not in a dangerous palace coup in the interests of high-level element within and beyond the party for reasons best known to them? What is this man bringing into the party? His antecedents are many; alas, not clean. “My respected, chairman, is this the paperweight politician from Adamawa state, a state which gave the president the highest number of votes, behind Taraba, that is being celebrated as a viable candidate to fly the party’s flag in 2015? “A Presidential candidate turned governorship aspirant, being celebrated? And you are from that zone, and should know much more than I do. Why do we seem so unmindful of the collateral damage this abnormal development, its timing and all, would cause the party, in terms of loss of enthusiasm and indeed, membership in massive numbers?